After my elastic disaster last week, I re-elasticated three top kits yesterday, two with Daiwa blue hydro and the third with yellow hydro which I was trying for the first time today. 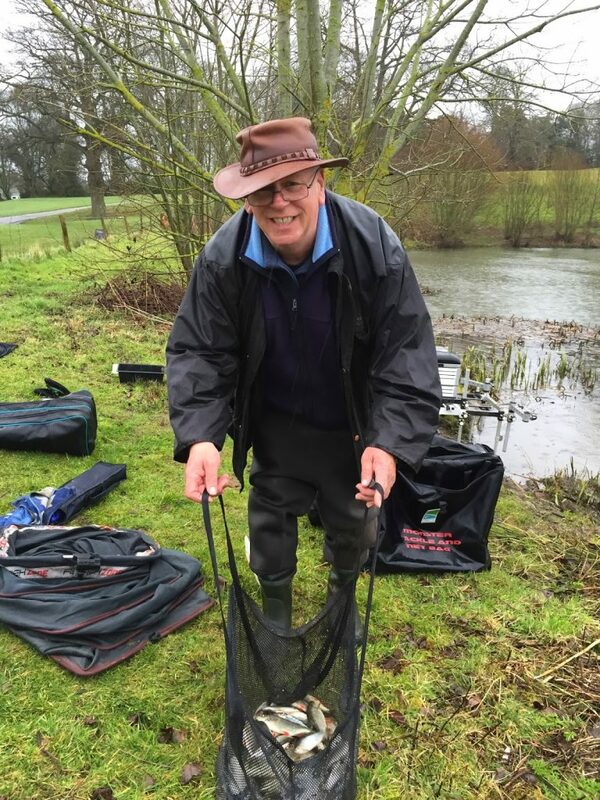 I got to the Oak for the draw and it was nice to see there were eight pairs fishing today and along with the regulars it was great to see the likes of Leighton, Ashley, Scott, Ned and Tony Newman had turned up to support this annual event. Baz and Hurf both had matching hats on and I wasn’t sure if I was at a fishing match or the gunfight at the O.K. Corral! My partner was Justin and we’ve got a pretty good record in this match and we actually won it last year so could we defend our title? Rob asked the team captains to come up and draw two pegs for each pair, one on the pond and the other on the river, Justin went up for us as he draws better than Picasso! He came back with peg 4 on the pond which is a great peg and H1 on the river which isn’t so good and he would struggle to beat the pegs by the bridge. I felt a bit sorry for Scott who had drawn H7 which blanked last week and he can’t draw for toffee at the moment, Heardy had drawn peg H6 and was already moaning that there were no fish there! Strong, blustery winds were forecast for today so I was relieved when I got out the pond to see that my peg was fairly sheltered, Baz and Andy Welch weren’t so lucky and would have the wind straight in their faces all day and to make Baz’s day worse he was in peg 6 where he’d had a bit of a nightmare the last time he’d drawn it with the tree above him claiming several rigs. Bruce was in peg 2 and Fieldy was across in peg 23 which also looked relatively calm, Ash was in 19 with Hurf in 18 and Ned in 17. On the side bet front, Baz, Andy and me decided on all putting a pound in with the best weight taking the £3 and Hurf wanted a nugget on overall pairs position. First job as always was to mix up some Bait Tech Pro Natural groundbait before setting my rigs up, I set up a 0.5 gram Drennan Roach with 0.10mm bottom and size 20 B611 to fish at 10 metres and this top kit had the yellow hydro in, another identical rig in case of a disaster and also a little Preston Chianti to fish shallow with strung out shot and 0.10mm bottom to a Middy 63-13 size 18 hook. The all in was shouted and I cupped in two balls of groundbait at 10 metres and then started on the deep rig with double red maggot, the float settled and then sailed away and I was soon swinging in a small roach. More small roach followed so I tried caster and had more of the same but was getting the odd better fish in amongst them and netted a couple as well. Baz looked to be struggling a bit and the glare from the sun was making it almost impossible for him and Andy to see their floats although at this early stage his Tourette’s wasn’t too bad! After an hour I’d had 40 fish and I was well impressed with the yellow hydro and hadn’t lost a fish yet. 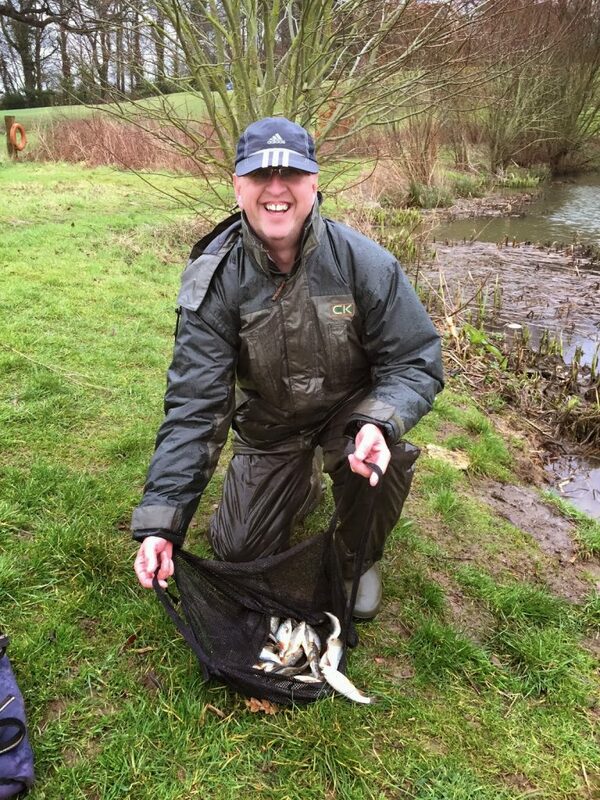 Hour two saw things slow a little bit and I had another 28 fish which included a couple of cracking rudd. I could see Ash was fishing shallow and seemed to be catching quite well so I had a quick go but as always I was missing loads of bites and I find it really frustrating. I played about with depths a bit and had a couple of lovely roach before I went back to missing bites and I’m sure those bigger, cuter roach back off so I went back out with the deep rig. 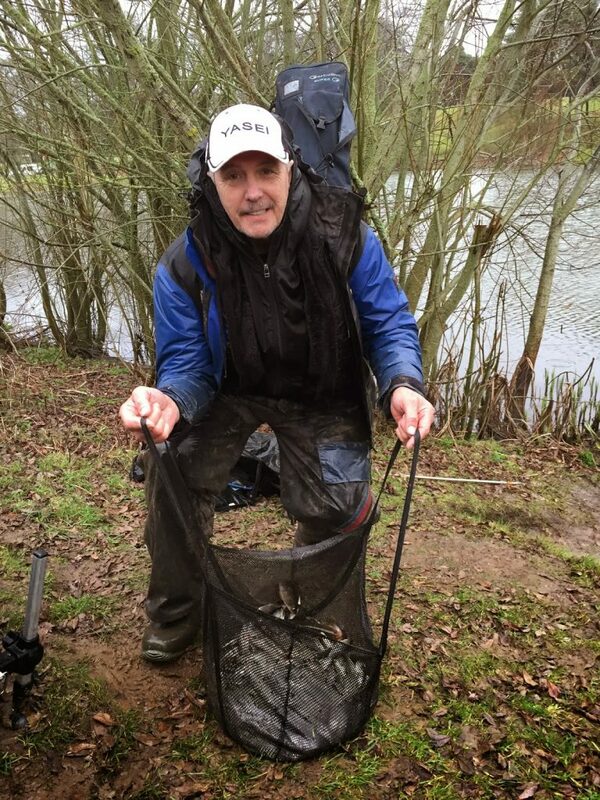 I was still getting roach and even had a couple of 6oz perch and after the third hour I was up to 98 fish and thought I must have around 6lb and if I could carry on like this for the five hours I would have double figures. Baz was starting to grumble a bit and hooking the bottom of his keepnet didn’t help much, although at least he hadn’t been up the tree yet! I was just thinking how I’d only bumped a couple of fish with my new elastic when I’ve hooked what felt like a better fish and as I gently shipped back the poxy hook pulled out! Also like a doofus I managed to miss the keepnet with a 2oz perch! I kept trying the shallow rig and was still missing loads of bites but every now and again I’d get a decent roach and had a couple around the 6-8oz mark, I could see Ash netting fish but it looked like he was suffering loads of missed bites too. Then with about half an hour to go it started chucking it down which did wonders for Baz’s Tourette’s! I carried on catching roach and ended up with 151 fish which I thought would hopefully give me 10lb or so, I thought I’d done okay until Bruce came up and said he’d had 275 fish! I also thought Ash had probably beaten me and Fieldy is normally there or thereabouts. 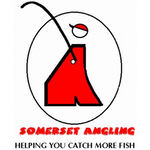 I collected the scales from the car and started the weigh in with Andy who had struggled for 2lb 14oz, Baz had 8lb 14oz and if he never sees peg 6 again I think it will be too soon. My fish went 14lb 8oz which was more than I thought before we moved on to Bruce, when he pulled his net out it was obvious it was going to be close and I was relieved when the needle stopped at 13lb 10oz. Things got even better when I got back to the car and Andy said Ash had the top weight on the other side with 10lb 13oz so I’d won the lake! 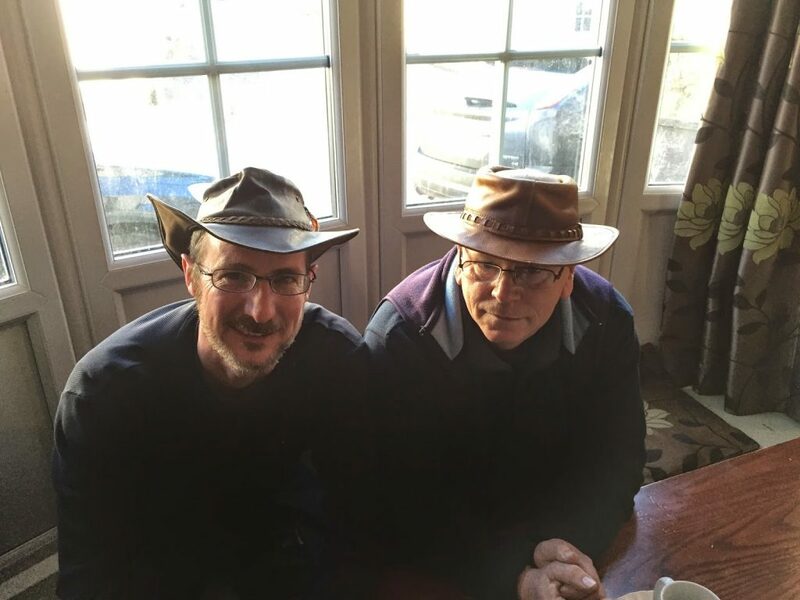 It was then back to the pub to see how our partners had fared on the river. As I was parking, Justin pulled up behind me and he’d struggled with his 8lb 8oz only beating a couple in his section and I was sure we’d miss out. 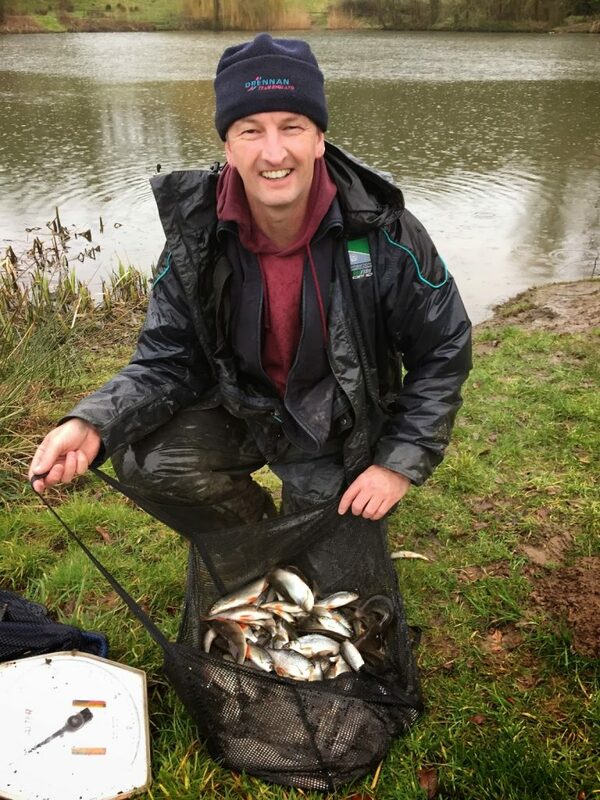 Rob was top on the river with 16lb 14oz but his partner Fieldy had finished fifth on the pond which meant that as Heardy was second with 13lb 14oz (from his fishless swim! ), him and Bruce had won it with four points. Rob and Fieldy were second with six points and then me and Justin and Baz and Leighton had tied for third with seven points and we just took the verdict on weight (23lb to 21lb) and picked up £22 each. There was a lovely spread laid on for the anglers by Steve and Cindy and then my day got even better when Chelsea beat Spurs 2-0 to win the League Cup final. So a really nice days fishing again (the sheltered swim helped) with load of bites and I’m very impressed with the Daiwa yellow hydro, it’s lovely and soft and I hardly bumped a fish all day. 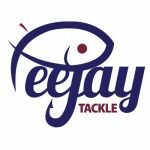 Next week we’re having a rod only match on the pond and it’ll make a nice change as I haven’t fished a waggler for ages (I just need to find a reel now! ).